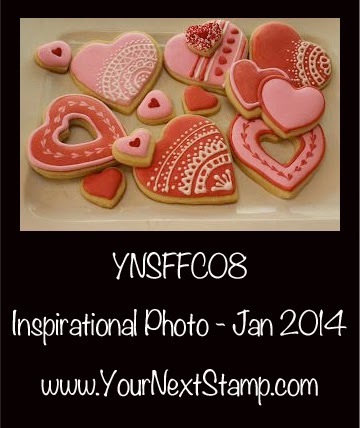 I stamped the monkey and heart images from the YNS Set Jungle Critter Crew, cut them out, and popped them up on a tag that I cut with the Treat Bag Tag Die Set. 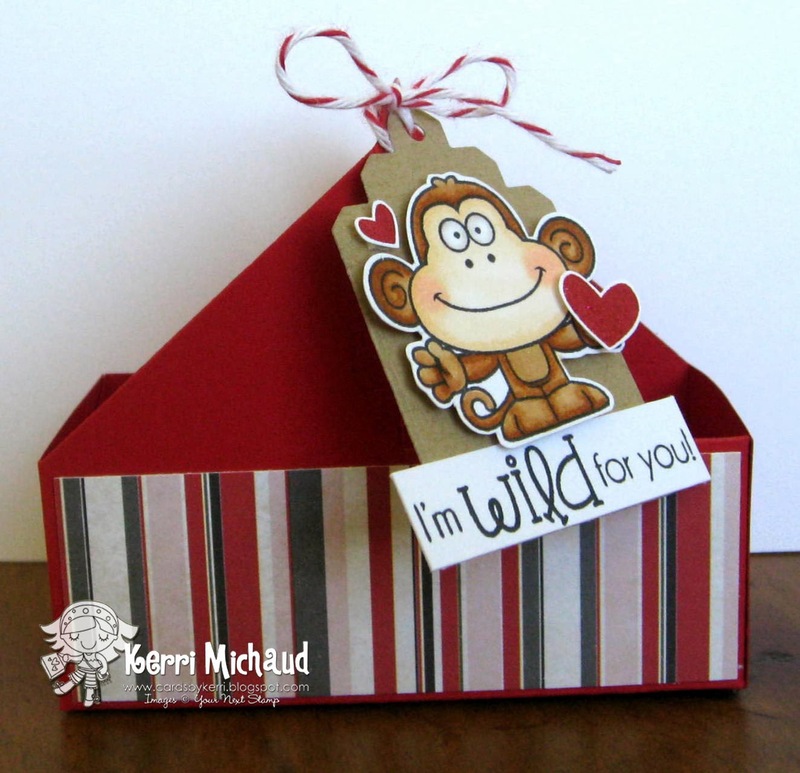 I added the sentiment and then tied my tag onto a treat box that I cut with the Kup Holder Die. Now I just gotta go find some treats to fill it up! That's it for me. I am working all weekend at a big gymnastics meet down at Disney World of Sports. My daughter's gym hosts this meet every year and it is HUGE!!! I'm looking forward to helping out:) Have a wonderful weekend! 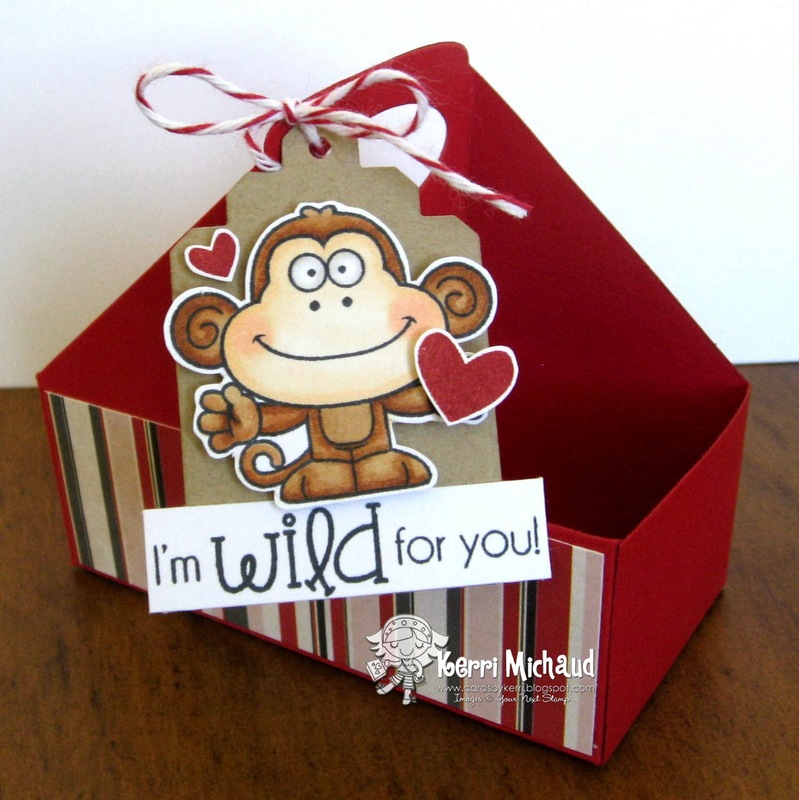 I love this little tag, Kerri! So cute!! !